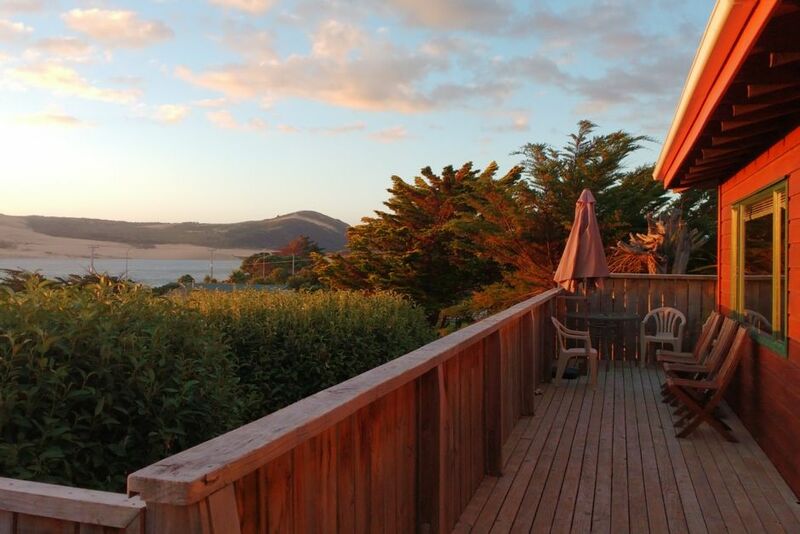 This newly finished spacious home is halfway between the shops, restaurants and boat ramps of Opononi and Omapere, so take your pick - there's plenty to do - fishing charters, sand boarding down the sand dunes etc. Sit on the large, private deck and enjoy the expansive view of the harbour, walk across the road to the beach or make the most of the hot fishing spots in and outside of the harbour. Plenty of room for everyone and their boats, with boat and fish cleaning facilities, or perfect for a family holiday in a safe, child friendly and wheelchair friendly house. The downstairs area can sleep 8, with one bathroom. The upstairs area with queen bed and second bathroom is only available on request, and incurs an extra fee of $40 per night to the base rental. Bookings cannot be made with less than 24 hours notice. The upstairs area with queen bed and second bathroom is only available on request, and incurs an extra fee of $40 per night to the base rental. Extras: These will not be included on your initial quote, so please specify when making an enquiry and I will send you an updated quote. Upstairs area with second bathroom (Optional, NZ$40.00 per night). This will need to be added if you are requesting a quote for more than 8 people. Perfect Spot, Great Property - Never get tired of the views ! We will be back for sure !! Enjoyed our time at the bar Hokianga. Will be back again. It was a great place for us to spend time with our son, daughter in law and grand children. The upstairs bedroom was nice for us and the family had plenty of space downstairs. The living areas were good and well equipped. The nearby beach was good once we oldies had found the ramp opposite the fire station. Would definitely recommend, the photos did not do the house justice. It was great for our big family group, well stocked kitchen and fantastic deck to watch the sunset from. Would stay again.